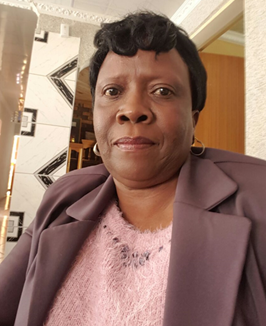 Alice Phirime shares her journey in the field of development as the third interviewee of our Women’s Month series, which aims to celebrate the lesser-known women in the sector – making an impact where they are, with whatever resources they have. Hi Alice, please tell us a bit about yourself. My name is Mosebatho Alice Phirime. I am a wife, mother of two and grandmother of three. I grew up on the farm called Heathfield in the Tweespruit area of the Free State, where I started my primary schooling. I completed my Secondary Education at Goronyane High in Thaba Nchu and in 1980 I obtained my Primary Teachers’ Certificate at the then Strydom Teachers’ Training College. I furthered my studies with UNISA and obtained a Diploma in Education in 2005. In 1985, the then Bophuthatswana government encouraged the Department of Education to employ qualified teachers at the crèches and that is where my career in Early Childhood Development (ECD) started. I progressed from being a teacher, to becoming a trainer of other practitioners and then a manager of ECD learnerships at the Northlink TVET College in Cape Town. Back at my home area in Thaba Nchu in the Free State, I recognised the need for services for young children, and for an organisation that could work close to the community to provide those services. Starting the Realeboga-Bakubung Training and Development Agency, which is now a registered and accredited non-profit organisation, was not an easy journey. I started operating from the backrooms of my house. All I knew when I first started was that I needed to give back to the community that raised me. I believed then, as I still believe now, that to educate a child is to liberate that child. The one thing that never ages is education. Every day in our communities children are born and those children need to be educated. ECD practitioners get old and retire and a new generation needs to be developed and trained. Training never stops. Learning never stops. Hence, we put everything into ECD and we put everything into lifelong learning, and that made me believe I will succeed – I am imparting lifelong learning. Our main focus at Realeboga-Bakubung is to train ECD practitioners so that they can provide quality ECD programmes to young children as they prepare them for primary schooling and for life-long learning. We also focus on children who are not in ECD centres through our home visiting programme – called Family and Community Motivators (FCM) – where we teach caregivers and parents how to stimulate the development of their children. Early stimulation is a very important foundation to education. A successful and sustainable non-profit organisation requires a lot of passion, hard work and dedication. We need to remember that we are in it to change lives. Our success is therefore measured by the lives we have changed – the children who have grown up and succeeded in life. We also need to keep abreast of industry changes, and to keep learning and networking with others who are doing the same line of work. I am inspired by people who care about others, especially those who advocate for and put young children first. In my whole career, I pride myself on the difference I have made, and am still making, in the lives of many children and their families, especially the poorest of the poor. Many thanks to all who supported me financially and otherwise – without them I wouldn’t be where I am today after 7 years of making a difference…Realeboga -Bakubung. Alice was nominated for being a strong woman, and a leader and a visionary. Alice’s passion for ECD, having worked in the space for many years and deciding to go back home and change her own community is inspirational. She saw the need to refocus on critical connections between caregivers and their children during the first thousand days.